One of the key factors during the demand for radiofrequency ablation is the growing popularity of minimally invasive procedures point minimally invasive techniques such as radiofrequency ablation is giving a lot of fractions in the market today on account of its ability to reduce the risk of infection reduce complications, minimise the pain, and reduce the hospital stay duration and recovery time. Radiofrequency ablation technique is also extensively used for treating patients with comorbidities and complications and that is why this technique is preferred over conventional surgical procedures or open surgeries. Another factor which is boarding well for the growth of the global radio frequency ablation market is the increasing number of training program which are conducted by the device manufacturers on how to use these radiofrequency ablation devices point there increased adoption rates of tissue ablation devices across medical facilities is increasing since its assists doctors and surgeons to gain experience in performing procedures and using minimally invasive devices. The different products available in the market today catheters, systems, consumables, and accessories. By application, the global radio frequency ablation market is segmented into cosmetology, gynaecology, oncology, pain management, and cardiovascular. This market is extremely competitive as well as diversified, characterized by the presence of a large number of both international and local vendors operating on a global level. Factors such as brand, specification come availability command cost some of the criteria on the basis of which players are competing with each other. Players are found to be increasingly concentrating on research and development activities so as to boost their profits and reduce the cost of equipment. Radiofrequency ablation is an analgesic procedure wherein radiofrequency waves are targeted on particular muscles or muscle groups. The radiofrequency waves create an electric current, which is used to emit heat onto the affected area. This temporarily deadens the nerve cells in the applied area, leading to reduction in pain. The global radiofrequency ablation market has benefited significantly from the rising demand for noninvasive and minimally invasive medical procedures. Radiofrequency ablation is likely to receive sustained demand from the healthcare sector, particularly in developed countries with government-backed healthcare programs, due to the rising prevalence of spinal conditions in urban populations. The rising adherence to a sedentary lifestyle, particularly in developed and developing urban centers, has the potential to remain a key driver for the global radiofrequency ablation market in the coming years. The increasing share of the urban population doing sedentary jobs has resulted in an increasing prevalence of problems related to the spine and shoulders. The reliable utility of radiofrequency ablation in relieving muscle pain and tension has ensured a safe growth trajectory for the global radiofrequency ablation market. The key benefit presented by radiofrequency ablation is its minimally invasive nature. This not only makes radiofrequency ablation more convenient for doctors as well as patients, but also keeps it safe from environmental contaminants such as microbes. The global radiofrequency ablation market could play a key role in the development of cancer therapeutics in the coming years. Due to the minimally invasive nature of radiofrequency ablation and its effectiveness in deadening cells and nerve ending, radiofrequency ablation has frequently been tried in the treatment of cancers such as metastatic sarcomas. Due to the attention being provided to cancer research, the radiofrequency ablation market could be set for steady growth if its utility in cancer treatment is established. The global radiofrequency ablation market is dominated by North America. The ready availability of sophisticated healthcare infrastructure, due to steady government support, has aided the growth of the radiofrequency ablation market in the region and is likely to remain a key driver for the market in the coming years. The rising incidence of chronic muscle disorders in North America is a prime driver for the radiofrequency ablation market in the region. Latin America is also an important region in the global radiofrequency ablation market and could become a steady consumer over the coming years, as several countries in the region have initiated large-scale development programs in the healthcare sector in recent years. Emerging countries in Asia Pacific such as India and China are also likely to play a key role in the growth of the global radiofrequency ablation market in the coming years. The rising awareness regarding the need for technologically advanced equipment in the healthcare sector has driven steady investment in the healthcare sector in emerging economies and is likely to remain a key growth driver for the radiofrequency ablation market in the coming years. 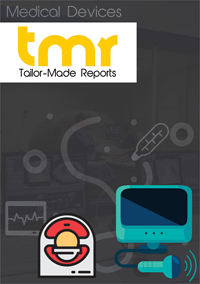 The report presents a comprehensive picture of the competitive dynamics of the global radiofrequency ablation market. Key players in the market, such as Boston Scientific, Stryker, Medtronic, and St. Jude Medical are profiled in the report. This section delivers a comprehensive analysis of the successful strategies adopted by players in the radiofrequency ablation market, the business and financial dynamics of the leading players, and the overall trends shaping the space in the global radiofrequency ablation market. The global radiofrequency ablation market has benefited from the ready participation of key manufacturers in marketing and publicity activities. Successful promotional efforts by companies in the radiofrequency ablation market include direct sales to the physicians and hospitals, since the convenience of the devices has made it the prime choice for healthcare distributors across the world. The continued efforts of leading players are expected to remain crucial for the global radiofrequency ablation market in the coming years.